NOTE: does NOT include the mic clip. 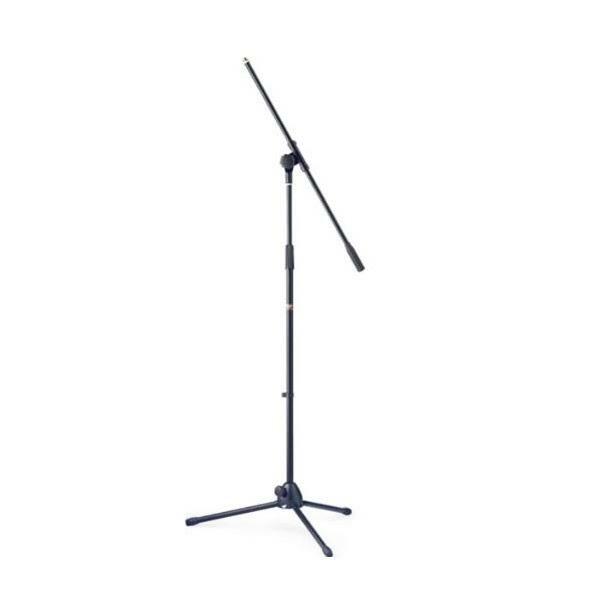 An effective yet affordable option for home or studio use, this budget-price black microphone boom stand features strong metal construction and folding legs for adjustable height and flexible storage. At just 2.6Kg, it is lightweight enough to be easily transported to gigs or studios with minimal effort.